TalkTalk has confirmed that it will begin to roll-out the ‘Next Generation’ YouView service to its 1.3 million TV customers from 28th November. Customers with the provider will be the first to take advantage of the latest YouView TV upgrade, which offers a faster, smarter and more visual and intuitive TV experience, ahead of the likes of BT TV, which also uses YouView and is preparing a major upgrade of its own. Simpler, cleaner design – new image-led layout and helpful shortcuts to the most popular shows and TV apps such as Netflix. New ‘More TV’ area – redesigned area to make it easier to access TalkTalk TV’s sports, kids and entertainment Boosts, one month at a time with no ongoing commitment. Viewers can also rent and own the latest blockbuster movies, such as Jason Bourne and Finding Dory, or TV shows including Game of Thrones and House of Cards. Faster experience – quicker boot-up and navigation between channels. Apps such as BBC iPlayer will load more quickly. “We’re passionate about finding new ways to bring our customers the best quality products and services at an unbeatable price. The way we watch TV is constantly evolving and our customers now want to mix and match between popular shows on the likes of the BBC and ITV; rent a movie every now and then; binge watch Netflix boxsets; or dip in and out of extra Sky Sports, kids or entertainment channels. In its announcement, TalkTalk says that "unlike some other providers, anyone upgrading to the improved service will be able to keep recordings, as well as movies and TV shows that have been purchased." This summer, TalkTalk also added BT Sport channels ahead of the start of the Premiership, giving TalkTalk subscribers access to every major televised football match and live sporting action in one place. Last month, TalkTalk extended its multi-year agreement with Sky to continue providing premium Sky content including, entertainment channels such as Sky 1, live and on-demand content from Sky Sports and Sky Cinema, and pay-per-view service Sky Box Office. The company also became the first UK Pay TV platform to offer content from Maker Studios, the Disney-owned leader in millennial content. 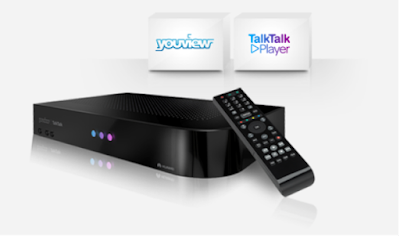 TalkTalk's YouView service combines channels from Freeview (channels 1-299 and 600-799), with additional pay TV channels provided via broadband to its customers (channels 300-599). TalkTalk will roll out the new technology over the next few months starting from Monday 28th November. The company will contact customers directly to inform them of when their upgrade will take place. Customers simply have to ensure their set top box is connected to the internet for the update to take place automatically overnight. Customers of the service can visit the following site for more information: www.talktalk.co.uk/tvupdate.